I love Electric Gypsy. They have a mixture of both original vintage and reproduction clothes available, with the new items being hand made in the UK. Their designs come from modernising vintage patterns to modern measurements, designing their own patterns from scratch, and customising old vintage clothing. I know that reproduction designs are looked down on in vintage circles, but I think its a great idea – I hate when you find a gorgeous dress only to find its too small! Pricing wise, they’re pretty reasonable considering they’re handmade in the UK, and are made to order apparently. 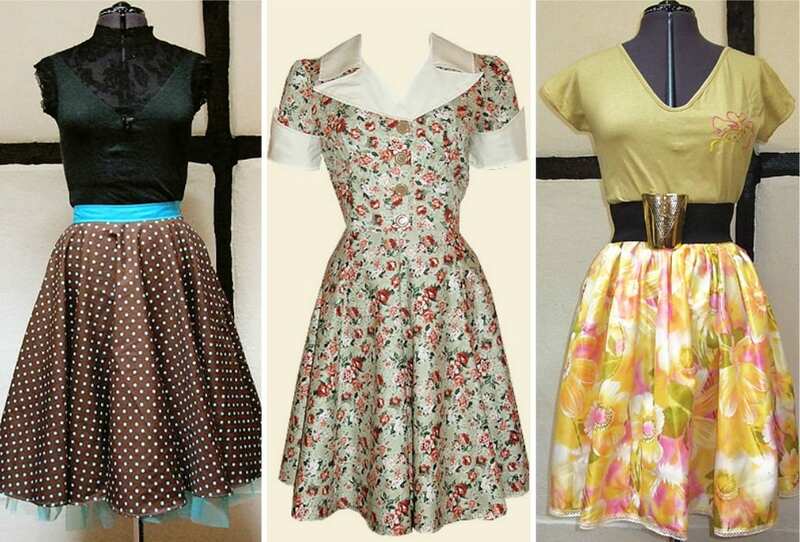 I especially love the brown and aqua skirt and the diner dress – so cute! Why Is It OK To Be Mean Online? Oooh I love that fourth dress! Stunning. I totally agree on reproduction clothes – It may be less satisfying than fiding the perfect vintage item but it’s a whole lot easier! 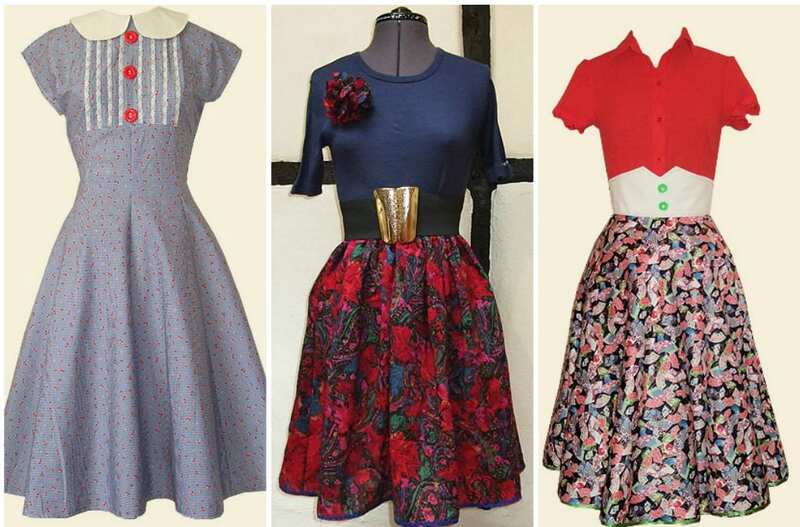 Beautiful retro-inspired dresses!! Always a classic and definitely a head turner! I soooo love these looks! love the colors and the styles? Thumbs up!